The photo of Ellen Bennett that she wanted included in her obituary. It was taken a week before she died. 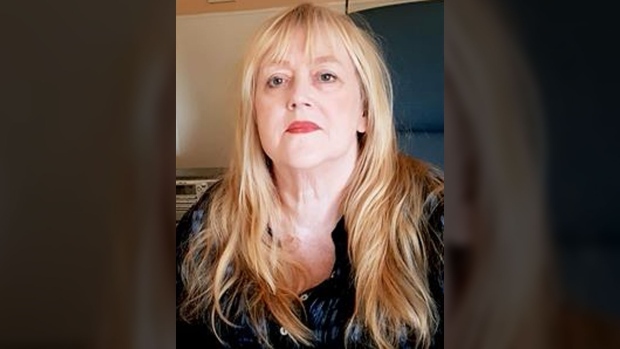 A 64-year-old cancer patient is being lauded for using her obituary to make a final plea to stop "fat shaming" by medical professionals, as advocates say her story reflects a pervasive problem. A July obituary for Bennett said she had one final message about the way she was treated by the medical profession after years of feeling unwell and being told she should lose weight. The obituary said her dying wish was that "women of size" should advocate for their health and not simply accept "that fat is the only relevant health issue." The obituary has been gaining traction on social media, and advocates say her story shines a spotlight on weight-based discrimination in the health-care community. Aisha Fairclough, co-founder of Toronto-based Body Confidence Canada, recalled in an interview visiting her doctor of 30 years to be treated for pink eye, only to receive a comment about her weight. Fairclough said larger-sized patients are often forced to ask doctors to look past their weight when assessing symptoms, which is especially difficult to do in a vulnerable situation like seeking medical advice. "It is certainly not the easiest thing, especially if you are in pain," said Fairclough. Yoni Freedhoff, co-founder of the Bariatric Medical Institute in Ottawa, said some doctors will ascribe a patient's maladies to their weight without fully investigating other possible diagnoses, but it's not clear if that was the case for Bennett based on her obituary. Still, Freedhoff said clinical studies have shown that people with obesity receive sub-standard testing and treatment, and medical professionals need to confront their weight biases to ensure that all patients are getting the care they need. "Obesity is unique in that ... some doctors and much of society feel comfortable moralizing about it," the family doctor said. "Lifestyle has the ability to both treat and prevent a ton of medical problems, but the only one we seem to moralize about is obesity." Angela Alberga, an exercise science professor at Concordia University, said many patients encounter weight bias at the doctor's office before they even speak to a medical professional. The health researcher said many medical facilities aren't built to accommodate body diversity, citing examples including chairs with narrow arm rests in the waiting room and medical dressing gowns that don't fully cover all patients' bodies. Alberga said medical providers need to shift their focus from scolding patients about their weight, to realizing that weight stigma poses its own health concerns. "If patients are ... feeling this blame and shame and stereotyping from their health-care provider, they might not have trust in their health-care provider," she said. "They feel like they're being disrespected and don't have good communication, they'll feel quite challenged or have difficulty expressing their health-care concerns." Michael Orsini, a professor at the University of Ottawa studying the policy implications of weight stigma, said people may avoid going to the doctor altogether because of the anxiety over being shamed for their weight. Ximena Ramos Salas, managing director of Obesity Canada, said many medical professionals are not sufficiently trained in treating patients with obesity, so their knowledge is largely informed by the weight biases that pervade society as a whole. Salas said her organization works to give health-care workers "patient-centred" strategies about how to discuss obesity, starting by putting their judgments away and asking whether a person's weight is impacting their health. Orsini said body-positivity activists are working to dismantle the idea that weight loss is the only solution to health problems. 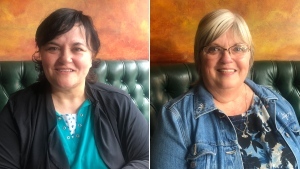 In 2016, a Manitoba private members' bill was introduced seeking to expand human rights protection to people who are overweight or have dwarfism, citing bias in healthcare treatment as a key reason. The bill was voted down in 2017, but was introduced again this spring and will be given a second reading in the fall. "I think what's good to know is there are already folks who are doing the kind of work that, I think, this person was hoping had been there for her," Orsini said.